The Transfer Station is ready for you to sort and recycle. The bins have been built; the doors hung; the baler is ready to be put to work. Given the market changes in recyclables, it is no longer cost effective to group all of our recycling together. Different items have different value making it worthwhile to separate. Yes, it is disappointing as single stream was really convenient, but we know that it is important to the residents to keep costs down. Throwing items in the trash is always the most expensive option; therefore, recycling remains mandatory. We are now ready to bail items with a refurbished baler purchased with 2018 funds. The cost savings from disposing of recyclable items separately and not throwing them away, will pay for the baler in 1-2 years and will continue to provide savings for years into the future. Recycling as a commodity means that we need to make it desirable to a re-user. This means that anything with food particles is trash. Rinse your recycling! Glass (bottles and jars only) Lids must be removed and container rinsed out. Metal lids go in tin area. All communication and appliance cords now accepted so please bring them in. They are an income generator! Please SEPARATE GLASS. This is the first recyclable that we are pulling from single-stream. We will be hauling the glass to Wakefield NH ourselves because of the proximity of Wakefield to the home of one of our HD staff. The Select Board has approved the rent-to-purchase of a baler from Atlantic Recycling Equipment to consolidate our recyclables. o Baled recyclables will result in fewer hauls, saving us transportation costs. o It will take about 6-8 weeks to install the baler. We will be transitioning to component recycling in anticipation of baling the components. o The Board is renting the baler through March and will be including a warrant article at town meeting to complete the purchase of the baler. Should the town decide not to purchase the baler, it will be returned to Atlantic Recycling. The rental agreement contains no interest costs and the entire rental fees will be deducted from the purchase of the baler. o The cost of the baler is about $17k; the full project cost, including concrete pad and electrical work is just under $23k. o We will be able to load the baler with the skid steer. The Select Board appointed Ed Walsh as Transfer Station Manager; this is in addition to his duties as an employee of the Highway Department. He and Road Agent Guilmette will juggle schedules as necessary in order to provide Mr. Walsh with additional time to spend on transfer station operations. The Board is making these changes because the cost of single-stream recycling will be increasing and the advantages that were in place at the time of our transition to single-stream are no longer relevant. We are continuing to look for opportunities to recover as much revenue as possible from our recyclables. 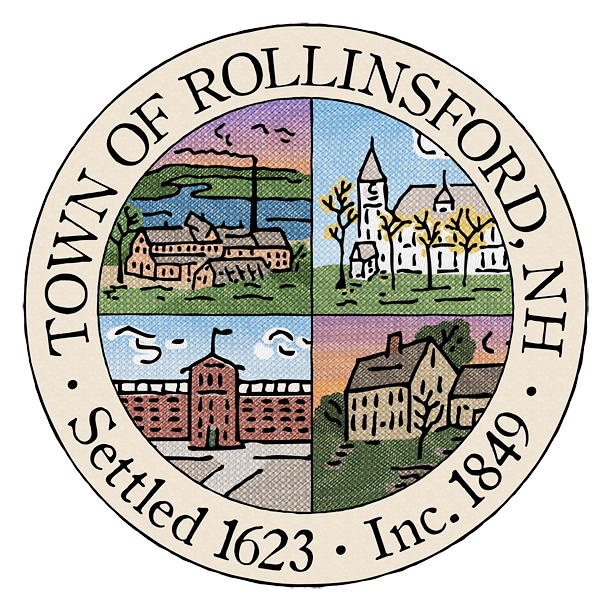 The Rollinsford Select Board would like to alert the residents to changes at the Transfer Station. If you have been paying attention to the news, you may have heard that recycling has very little value. China, once the largest consumer of American recyclable materials is no longer buying nearly the quantity it once did. Warehouses are storing vast amounts of recycling in hopes the market may turn around. What does this mean for Rollinsford? It no longer makes sense to bundle all of our recycling together. “Single stream” recycling, as it is called, no longer makes sense. Each item, whether it be paper, aluminum cans, glass or a numbered plastic, has a different value. Separating out these items will help us save money. It will likely still cost money to dispose of (where we once earned money on it) but it will remain less expensive than throwing it away. Please be aware of new traffic patterns at the Transfer Station as we work through the numbers to determine how best to make the most of this difficult situation. We hope to find the best way to strike a balance between cost and environmental friendliness. Please be patient for changes going forward.